The University of Cambridge, founded in 1209, is the second oldest university in the English-speaking world and the world’s fourth-oldest surviving university. 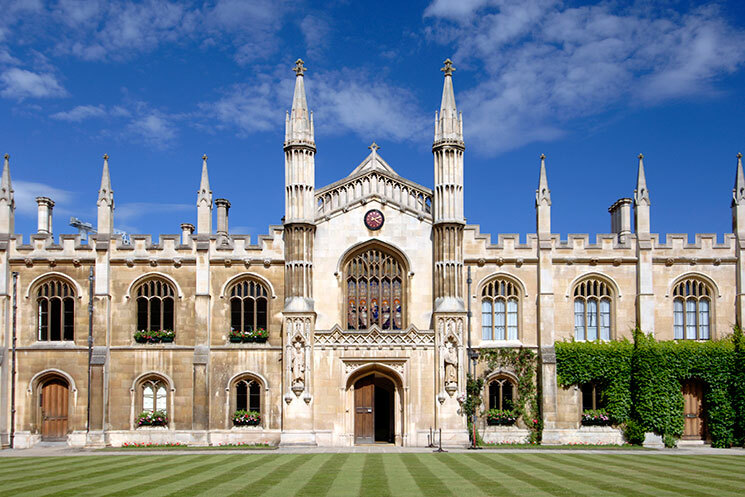 Many of its colleges, which span the 13th to the 20th century, are architectural gems; indeed, architecture and Cambridge are virtually synonymous. It is almost impossible to think of this university city without its buildings and courts, its great interiors and college gardens. Here are some of its most beautiful views. No one building embodies Cambridge more than King’s College. Founded in 1441 by King Henry VI, it is regarded as one of the finest examples of late Gothic English architecture. 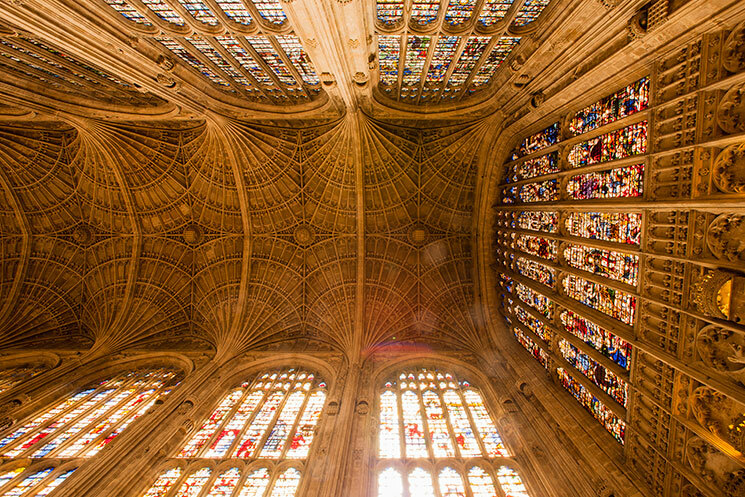 The college boasts the world’s largest fan-vault, while the chapel’s stained-glass windows and wooden chancel screen are considered some of the best from their era. Corpus Christi was the sixth Cambridge college to be founded in 1352. Unusually, it was formed by townspeople, members of two Cambridge guilds – the Guild of Corpus Christi and the Guild of the Blessed Virgin Mary – primarily to train priests in the aftermath of the Black Death, which had ravaged Europe and killed many clergy. The Old Court contains some of Cambridge’s oldest buildings, and retains many of its original features. The college was founded by Lady Margaret Beaufort and established by charter on 9 April 1511. The stone bridge that connects St John’s Third Court to New Court and features a decorative Neo-Gothic covered footwalk over with traceried openings is commonly known as the Bridge of Sighs. It is one of the most photographed buildings in Cambridge and was described by the visiting Queen Victoria as “so pretty and picturesque”. Queens’ College is one of the oldest and largest colleges of the university. 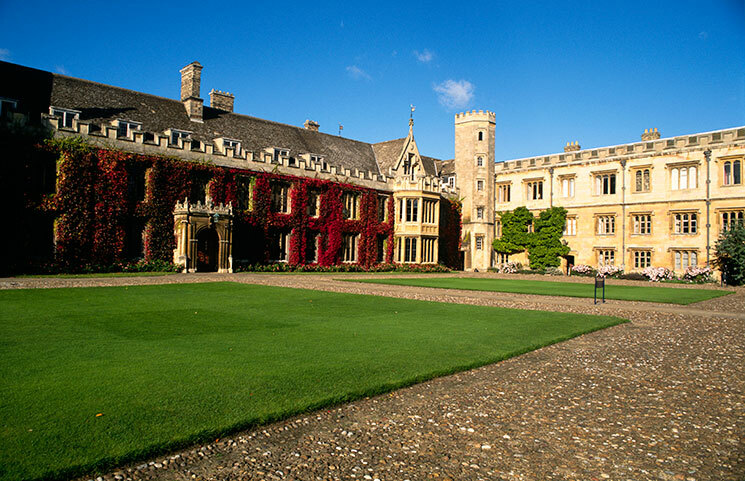 It was founded in 1448 by Margaret of Anjou (the queen of Henry VI, who founded King’s College) and has some of the most recognisable buildings in Cambridge, which combine medieval and modern architecture in beautiful, extensive gardens. 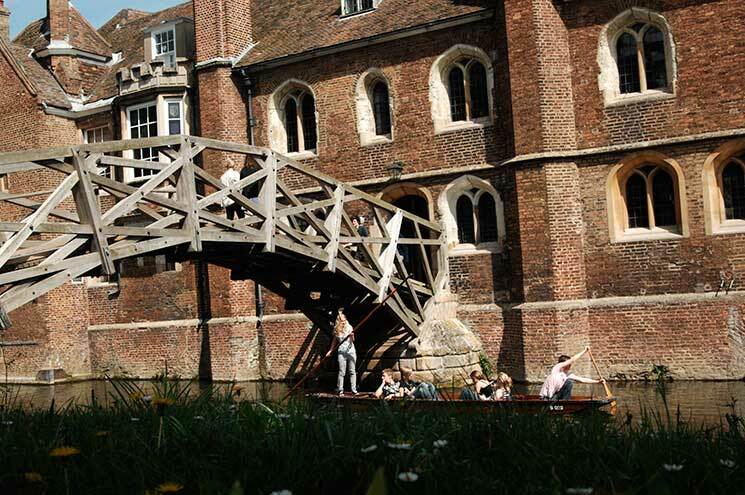 It is also one of only two colleges that straddle the River Cam.